While it wasn’t an easy year in many arenas, research-wise 2016 went pretty well. 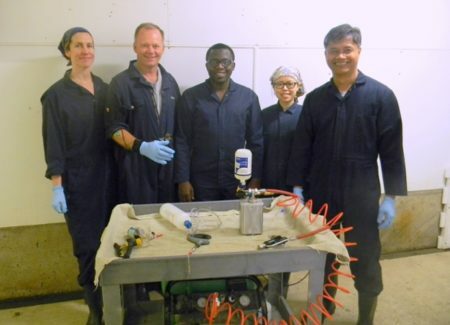 Things have been quiet on this blog because I have been posting most of the research news over on my U of S Lab website. I also started a twitter account, and you don’t need to sign up to read the updates on Twitter or on the ErgoLab homepage. There were some exciting awards and accomplishments of my students highlighted there. Zeng, X., Trask C., Kociolek A. Whole-body Vibration Exposure of Occupational Horseback Riding in Agriculture: a Ranching Example. Submitted to: American Journal of Industrial Medicine; 2016; Manuscript ID: AJIM-16-0100. Trask, C., Rostami, M., Mathiassen, S.E., Heiden, M. (2016) Observer variability in posture assessment from video recordings: the effect of partly visible periods. Accepted for publication in: Applied Ergonomics. Manuscript # JERG-D-16-00133.